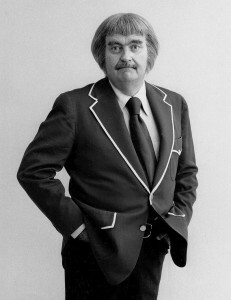 I probably wouldn’t be the bike person I am today if not for Bob Keeshan. Captain Kangaroo. He showed me that bikes were cool. He reinforced that message every single weekday morning. And, of course, he convinced me to buy a Schwinn. OK, so I’m a bit conflicted with the idea of tangentially promoting a company that I have no love for today (Schwinn went bankrupt and the name was bought by a company that now produces BSOs, Bike Shaped Objects, that defile the original company’s dedication to quality products). But seriously, how many of us in our 50s were influenced by Captain Kangaroo’s cycling message? We keep looking for reasons that cycling isn’t as popular with kids today as it was back in the 60s and 70s. I think it’s the lack of a Captain Kangaroo, with his consistent, every-single-day bicycle message. I wanted a Schwinn. I settled for a Sears. I eventually did buy a Schwinn Varsity, and another one when that was stolen. I’d love to know what that marketing campaign cost Schwinn, in real (today) dollars. The cycling industry talks about how we cannot afford a huge “get on a bike” campaign, and that’s right, we can’t. It would take far more money than we can mobilize to move the needle the tiniest amount. But a consistent effort aimed at kids could be cost-effective. Schwinn wasn’t looking at the quick buck back then. Of course, the dirty little secret is that the campaign was so effective that it lead to FTC guidelines outlawing product endorsement by hosts of kids shows. Captain Kangaroo got around it by introducing a new character, Mr. Schwinn, and had internal memos to support the view that the kids still couldn’t separate the show from Schwinn (Schwinn was still getting a very effective marketing tool). what about pee-wee herman, “a rebel and his bike”? didn’t think so, but still an attempt was made.